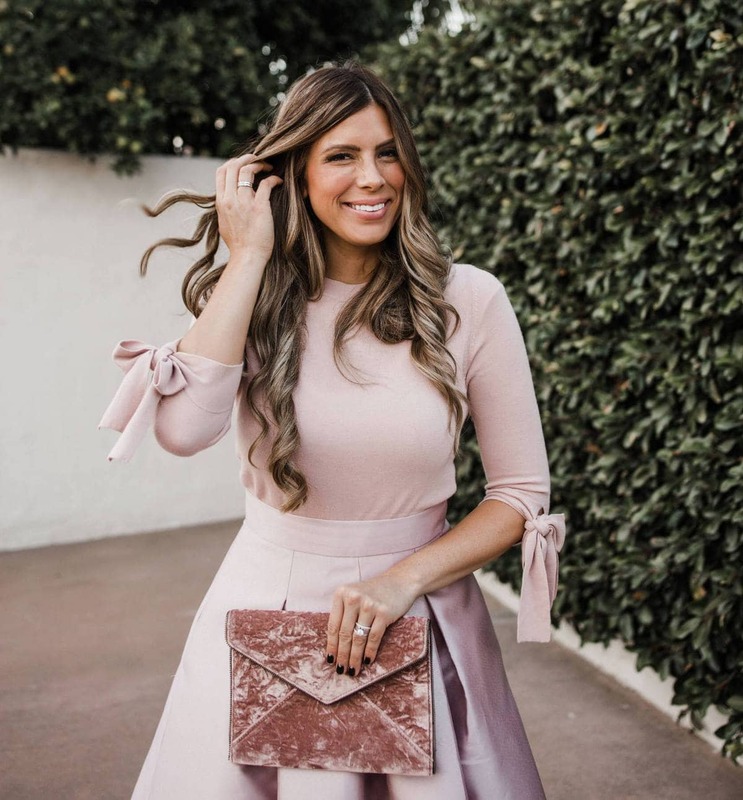 I'm so excited to share this post with you guys because it's about something I am OBSESSED with…. my Instant Pot!! It's the “gift that keeps on giving” hahaha. But seriously, I use mine about 3 times a week and it has been saving my life lately! If you don't have one yet, you NEED one. The Instant Pot is a seriously great gift for ANY age. From college to busy momma to retired. It basically is Mary Poppins in a pot. It comes with 14 different settings: Soup, Meat/Stew, Bean/Chili, Poultry, Sauté/Simmer, Rice, Multigrain, Porridge, Steam, Slow Cook, Keep Warm, Yogurt, Manual, and Pressure Cook, so you seriously can do alllllmost anything with this little guy. So what is an Instant Pot? As the microwave is to the oven, the instant pot is to the crockpot. It's a pressure cooker that can cook your food in a fraction of the time it would take in a crockpot or even the oven! If you leave for work or church or wherever and forget to put your food into your crockpot, you might as well plan on grilled cheese for dinner because there's no way your food will be done if you didn't get it in there that morning. BUT with the instant pot, you can come home from your day and your crockpot meal would be done within the hour, sometimes as quick as like 30 minutes. SO awesome!! *EDIT: A few people have mentioned that their Instant Pot intimidates them and YES I agree, it intimidated me at first too! The scariest part for me was the steam release at the end. It steams up while it's cooking, and at the end when the timer goes off you either let it “naturally release” by just keeping it on seal and letting the steam come out slowly, or you do “quick release” by pushing the steam release over to “vent.” Steam will come shooting out of that valve and the first time you do the quick release you might fear for your life (ha!) but every time after it's not scary. You'll get used to it, just try it!! Why use an Instant Pot instead of a crockpot Besides it being even quicker and more convenient than a crock pot, it also keeps moisture in meat so much better, so you can cook with lower fat meats and still have them taste extremely tender without drying out at all. It cooks not only at high pressure, but high heat too, which is why it cooks so efficiently. **RIGHT NOW the instant pot ULTRA is at its all-time lowest price ever here and here! I don't own the Instant Pot Ultra myself, but from what I understand the main difference is that this version has an altitude adjustment, progress indicator when it's cooking your food, a delay cooking option for up to 24 hours to make sure the food's done right on time, and way more options for specifically and uniquely adjusting the settings on this one than the standard models. If you're going to buy an instant pot anyway this is definitely the latest and greatest and while it's the same price as the less fancy model, you might as well get the nicer one while it's at its all time lowest price! Here are some of the recipes I've tried and LOVED in my Instant Pot! 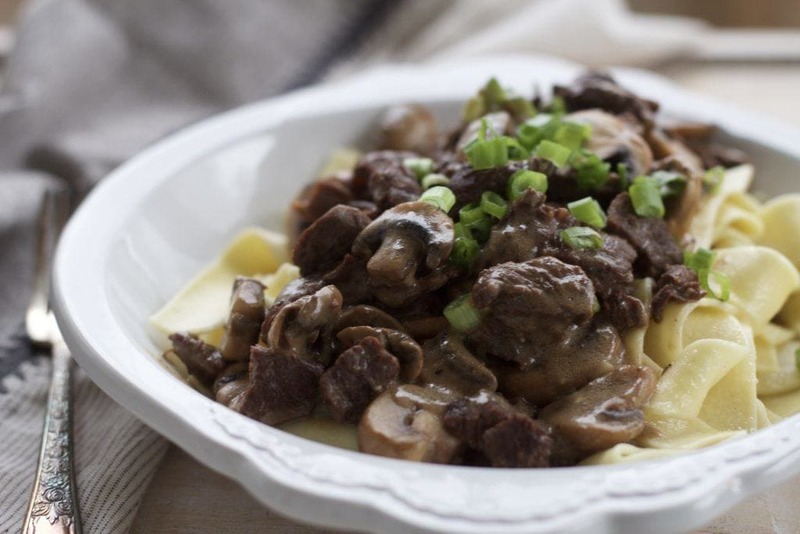 A Bountiful Kitchen Instant Pot Beef Stroganoff: made this when we had the 18-19 year old missionaries over for dinner and they ate up every last bite! My kiddos loved it too. To die for delicious! 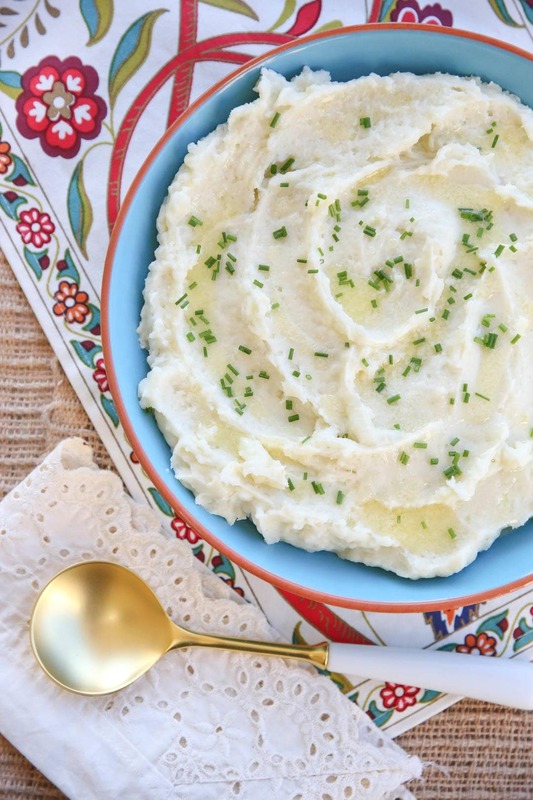 Our Best Bites Instant Pot Mashed Potatoes: we make these at LEAST once a week! So simple, and perfectly cooked every single time. 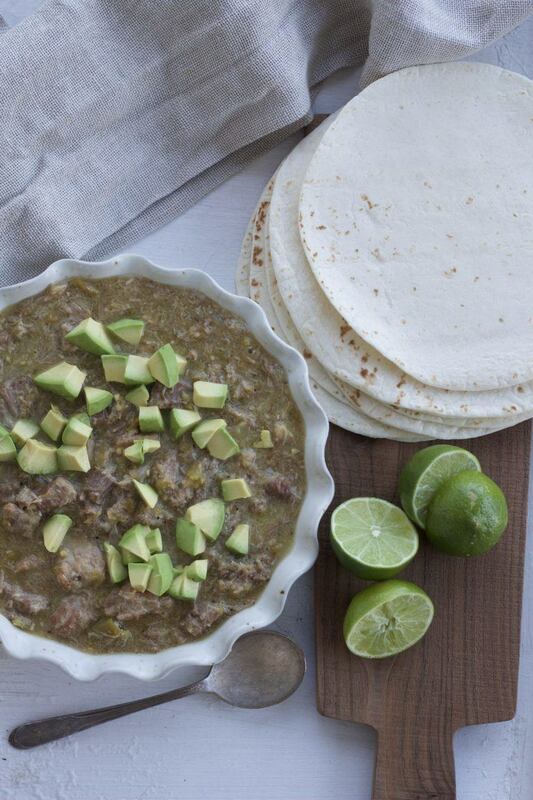 A Bountiful Kitchen Instant Pot Chile Verde: another huge win! It makes a ton of food and you can use it for tacos or enchiladas or burritos, or even just over rice, and the flavor is insanely good. 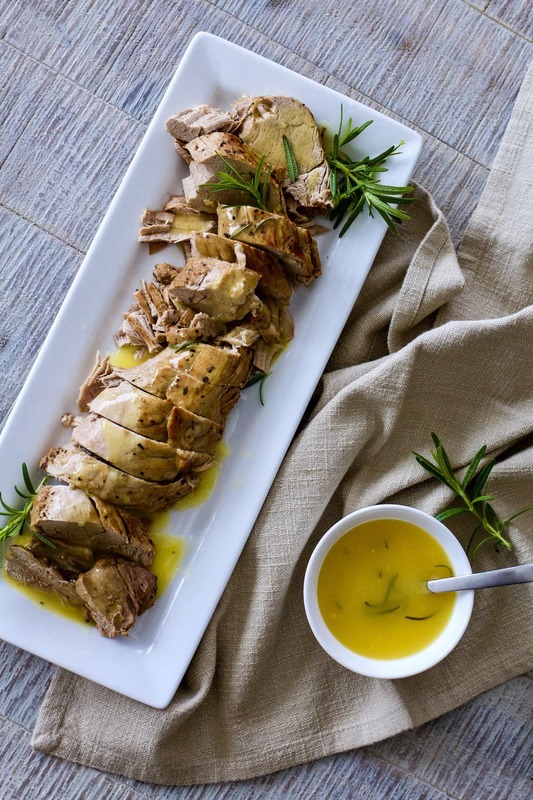 A Bountiful Kitchen Instant Pot Pork Tenderloin: I absolutely LOVE pork tenderloin and although I haven't made the exact dish below from my mom's blog, I used the cooking directions in this post to make this older recipe of hers that I love and have on our dinner rotation at least once a month. Everyone in my family scarfs this when I make it and it was so nice to have it done in about 45 minutes start to finish instead of 2 hours! 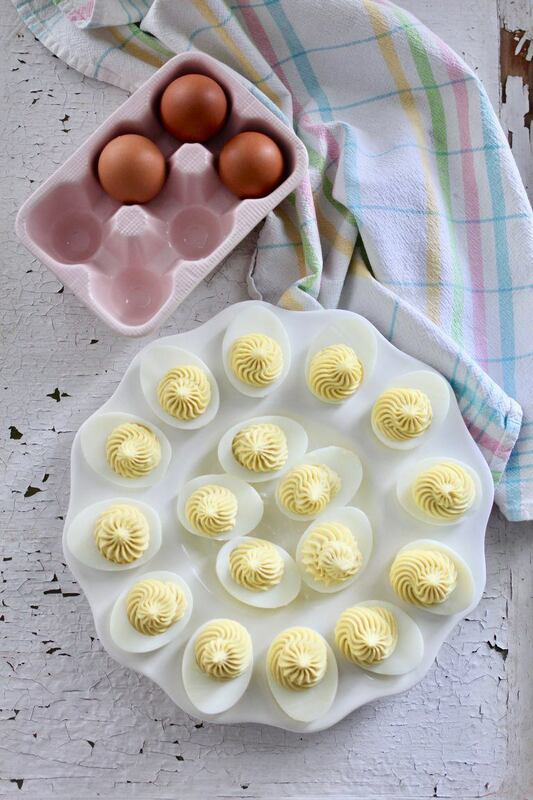 A Bountiful Kitchen Instant Pot Hard Boiled Eggs: I have to admit I actually really don't love hard boiled eggs, but my kids are obsessed!!! I also don't love trying to time boiling them and not having them crack, but this instant pot method is the easiest of all time ever and literally perfection every time!! I also really LOVE cooking frozen chicken breasts in the instant pot! I do this maybe once or twice a week to use in any recipe that requires cooked chicken. I stick my frozen chicken breasts in the instant pot, put 1/2 cup chicken broth or water in the pot, and then set it to “poultry” 10 minutes. I make sure the valve is set to “sealing” and I allow it to naturally release, instead of pushing it to “venting” right when the timer goes off. This just allows the steam to slowly release. **UPDATE: my mom finally posted this recipe!! See her method of how to cook chicken in the instant pot here. I bought this Instant Pot in the 8 quart size, and I absolutely love it! It's big enough to do large cuts of meat for a big crowd, but not so big I can't store it. My mom has the 6 quart and she loves hers too. 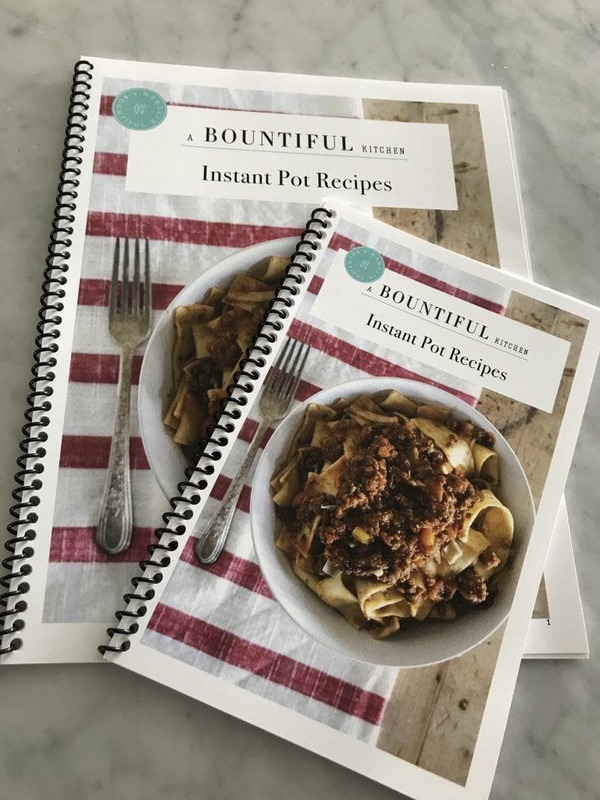 One last FUN update: my mom just released her Instant Pot ebook! You can get it FREE here!!! 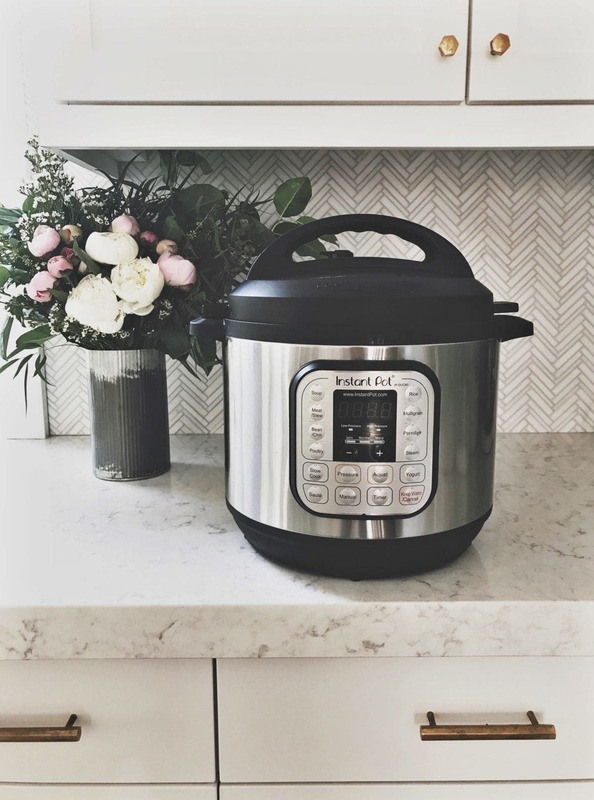 It's the perfect companion to the instant pot if you're gifting the Instant Pot for Mother's Day, and like I mentioned in yesterday's Mother's Day gift guide, I think every mother in America needs one. Do you have a favorite Instant Pot recipe? Tell me about it in the comments so I can try it too!! Ahh thanks I’m totally going to try it! In a small pan add red curry paste, lemongrass, and ginger. Blend these 3 items and then slowly add the 2 cans of coconut milk. Add lime juice and fish sauce after the ingredients are blended. Keeping the liquid warm will reduce the time it takes for the pressure to build in the instant pot. Using the sauté setting on the Instant Pot, melt butter and flour and blend. Then, slowly add one cup of white wine. You now have a basic roux which will thicken the rest of the broth beautifully. Add leeks, canned tomatoes and the liquid that the tomatoes were in. Add pasta, seafood and the coconut milk mix. Gently stir everything so it is well blended. Set pressure cooker time (low pressure) for 10 minutes. I used the vent to release the steam at the end of cooking, and then served the dinner with toasted French bread. This is a very versatile recipe and you can add onions or peppers to your liking. The ginger paste and lemongrass paste is something I have found to be a great timesaver. The brand name is Gourmet Garden. It’s an organic product, priced approximately $3.98 for 4 oz. They can be found in the produce section at most grocery stores (Walmart and Publix carry them here in Florida). Once opened, I pop them in a plastic bag and freeze them. It’s impossible to squeeze the contents out once it’s frozen, so if you cut off the top of the tube, you can use a spoon and measure out what you need. I used leeks since my husband doesn’t care for onions. This recipe was inspired from recipe I saw on peggyunderpressure.com and a Thai shrimp soup recipe that I had in Palma, Majorca. Tons of great recipes on Pinterest current favorites in heavy rotation, Mongolian beef, Braised short ribs (to die for) Shrimp risotto, lasagna (yes!) Instant pot chicken fajita pasta, chicken. Piccata with lemon and capers. There are truly so many great recipes out there. Are you telling me this thing will cook frozen chicken to edible in just 10 mins?! Our rice cooker died so I just ordered an Instant Pot so I’m hoping to try some of these recipes when it gets here. I’ve had my Instant Pot for 6+ years now and love it so much I bought a second one when they went on sale. I use it on a weekly basis to cook all the usual things people rave about. Eggs, roasts, cheesecake, beans, and so on.. Even after all this time I’d never really cooked fish in it though. I decided to try a whole 1.5 to 2lb rainbow trout stuffed with lemon slices, herbs, and Old Bay. I set it to the Steam function for 5 minutes and quick released as soon as the time was up. I don’t eat fish often but my husband loves it so I make it for him occasionally. This surprised both of us. It’s some of the best I’ve ever had. The fish just peeled off of the bones without being over cooked. Absolutely making this again. I was curious if you know or remember the brand of tile your back splash is? It is stunning! Just starting to build and I have searched searched to find something like it ( multiple tile stores and online) I didn’t want to bother you with the question, but at this point I wake in the morning thinking about that tile! Thank you in advance! Send this to to your spouse: 16 mother’s day gift ideas she’s sure to love!